During the 20th century, acid rain ravaged concentrations of some forests’ soil calcium, which is an essential tree nutrient. Researchers tried to restore calcium levels in a New Hampshire study site and a new report investigates the complex ramifications of fertilizing forests. In a 1999 project to understand how reintroducing calcium might change forest ecology, researchers fertilized the U.S. Forest Service’s Hubbard Brook Experimental Forest— a protected 7,200-acre section in the White Mountains of New Hampshire. The area is especially sensitive to calcium loss because the White Mountains’ bedrock does not have the requisite calcium to replace depleted soil concentrations. That made it the perfect test location to see how the forest would respond to an increase in nutrients. Researchers applied calcium to a portion of the forest’s soil through a finely ground silicate mineral called wollastonite. They measured the diameter of every tree in the watershed—about 11,000 in all. The researchers also measured leaf biomass by scanning leaves in order to gauge changes in their surface area. Mark Green, a research hydrologist for the U.S. Forest Service’s Northern Research Station and assistant professor at Plymouth State University, reviewed the initial data in 2009. His findings indicated that the reintroduction of calcium to forest soil substantially bolstered tree health. Additionally, the studies showed that some species of trees, such as red spruce and sugar maple, improved their cold hardiness and had less seedling mortality after the application of calcium. 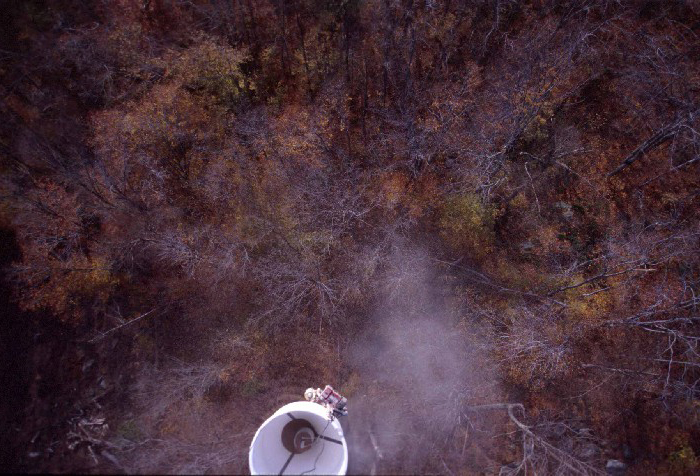 However, the experiment had an unforeseen consequence: Green found that there had been a significant increase in forest water use in the fertilized areas. To measure differences in water usage, researchers used standard rain gauges for precipitation measurement and concrete pools built for collecting and quantifying stream water levels. The measurements showed that there was a drop in the forest’s usual stream levels. Understanding the potential ramifications of fertilization could help managers make more informed decisions, especially in areas where potential water shortages could have dramatic impacts. New Hampshire’s moderate climate negated the potential for severe water shortages. However, the misuse of fertilizers in more arid climates, like those in the Southeastern U.S., could have dire consequences. Using nutrients such as nitrogen in dry climates to spur agricultural growth could stimulate water use, which in turn could deplete stream flow and put an area’s water supply in jeopardy. For Green, the study highlights the need for responsible fertilizer management to ensure that our environments are protected from the unintended consequences of soil manipulation. “I think where the biggest implication of this work is, is that managers of forests need to be talking to the managers of water supplies to understand what the implications might be if forest fertilization becomes a broad-scale management practice,” Green said. The results of the study are published in the Proceedings of the National Academy of Sciences.